Version 8.1.01 Click to Register this Product Now! Version 4.0.5.1120 Click to Register this Product Now! Version 2.611 Click to Register this Product Now! Version 3.2.2 Click to Register this Product Now! InterReg allows you to do complex interpolation and regression calculations just with some point-and-click. So this program is not only for mathematics and engineers. Free for students and schools. 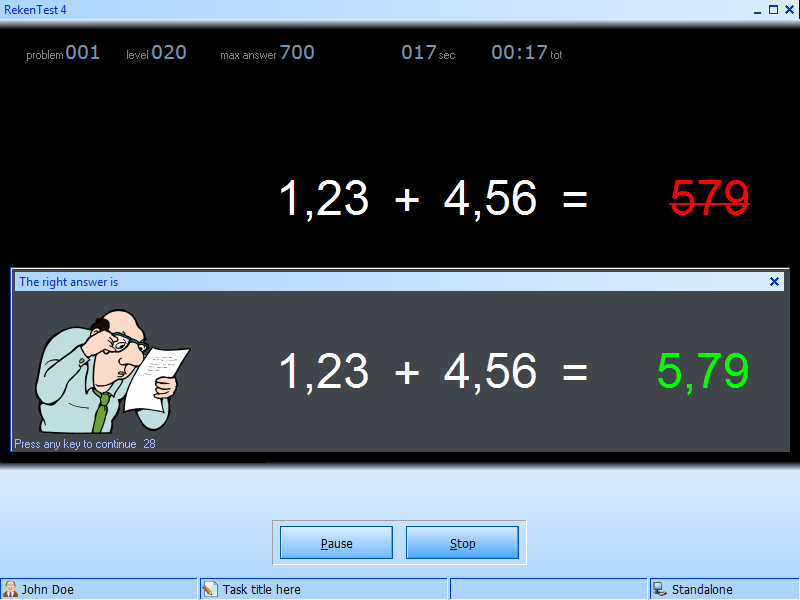 Version 2 calculates with arbitrary precision. Version 8.72 Click to Register this Product Now! 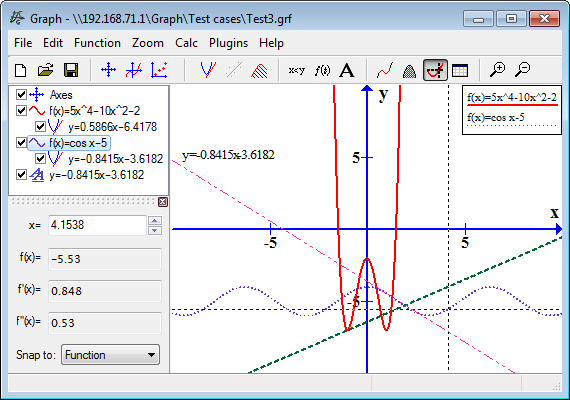 The "xyExtract" software is used to extract data from a 2D graph (orthogonal and nonorthogonal axes) contained in a graphic file (scanned, PDF document or in a some file like gif, jpg, etc). The graphic file must be saved in a bitmap file. Version 2.1.10 Click to Register this Product Now! Logic Minimizer is an innovative, versatile application for simplifying Karnaugh maps and logical expressions step by step. It is geared for digital and formal logic scholars and academic or anybody involved with logical expressions. Convert Terabytes, Gigabytes, Megabytes, Kilobytes, Bytes. Here's all you do. Leave all the boxes blank except the one you want to covert. Enter a number in the box you want to convert, and click the "Click Here to Convert" button. 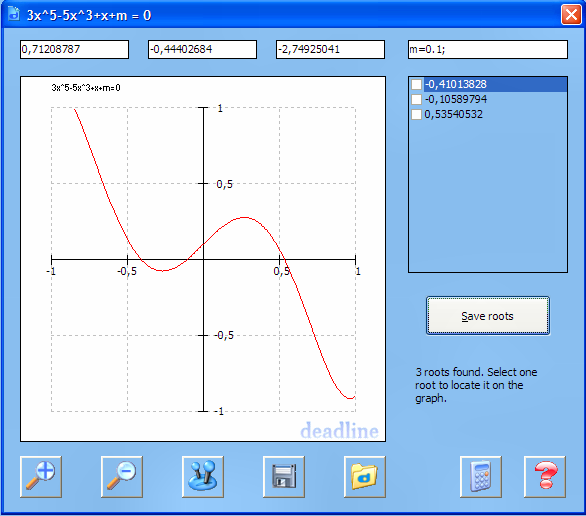 The MathCalc calculate mathematical expressions. 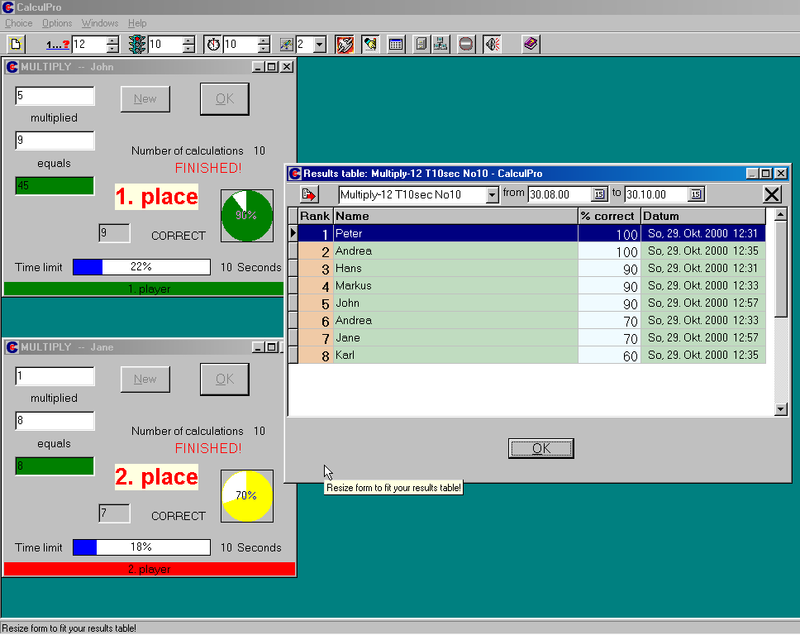 The expressions entered, you can save into formula lists. You can plot 2D charts by means tabular data, importing the data from files, or using Cartesian, polar or parametric functions. King Of Mathermatics is designed to help people young and old improve there math skills.It is the educational software that the fund can lift the elementary school mathematics achievement speedily . GeoPro is the next step of our application geometry. It features the following aspects: Triangles: Special triangles, Properties of Right triangles, Congruent of Right Triangle.Plane Areas: Rectangle, Trapezoids, Circle, right triangles. 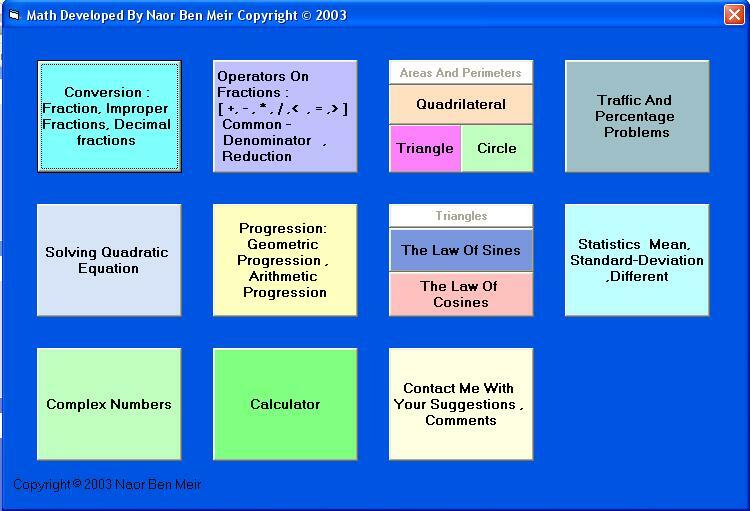 MatheMax is an entertaining and varied program for practicing basic arithmetic operations. The calculation method is preselectable, including simple counting exercises, addition with symbols, addition/subtraction, multiplication and division. Version 1.04 Click to Register this Product Now! Scientific Advantage� is a Unit Aware� calculator that lets you work with feet-inch-fraction dimensional values and includes advanced math functions, automatic solvers, and much more. Fun puzzles develop basic math understanding and skills. EQUALS uses tables with illustrations combine with the fun, reward and challenge of jigsaw puzzles format + playing games to make sure students are motivated to practice and learn. Free multiplication tables practice software. Fast, simple and easy to use. For budding multiplication masters of all ages. The program includes 51 animations. Each animation provides detailed, step-by-step description of a straightedge-and-compass geometric construction, studied in elementary geometry. The program is designed for students and teachers. Whether you are a small machine shop or have a Cad Cam System, for $29.95 this is a must have program. You can get in and solve your calculations and get right back to work. It is designed to be user friendly. There is clipboard support. 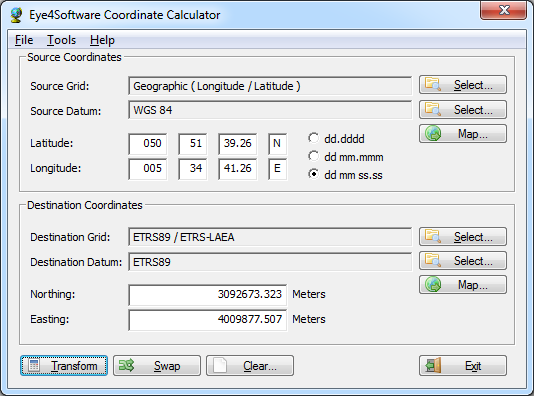 SplineCalc is multipurpose scientific calculator for implementation of various mathematical operations with maps (grids), data tables, lines, polygons (including multiply connected) and numbers. It can be useful for hard scientist or Surfer users. Version 1.0SR1 Click to Register this Product Now! Thermophysical and physicochemical properties for numerical modelling, simulation and calculations. 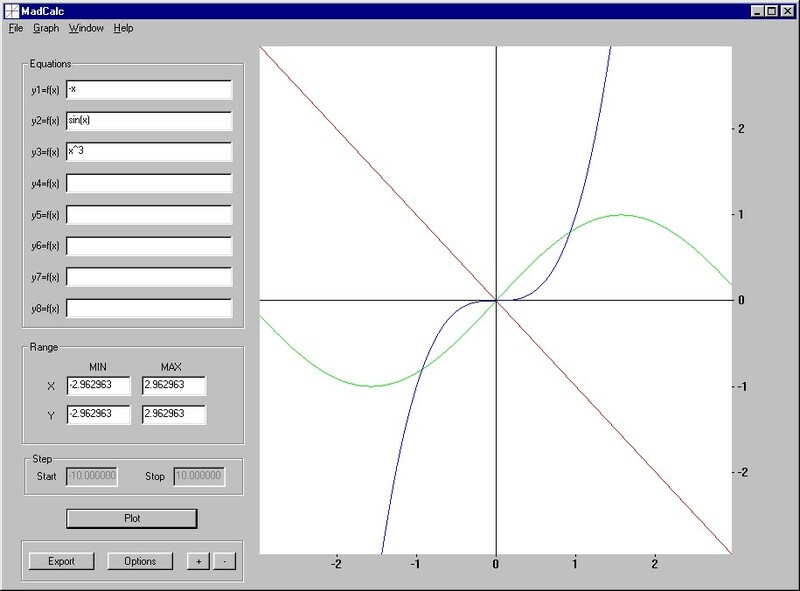 SLAE SOLVER allows to find on a PDAr high accuracy solutions of linear algebraic systems with N equations. $19.95 Expires after 30 Days. TimesTest is specifically designed to be used as a tool in the classroom, but can just as beneficial at home. 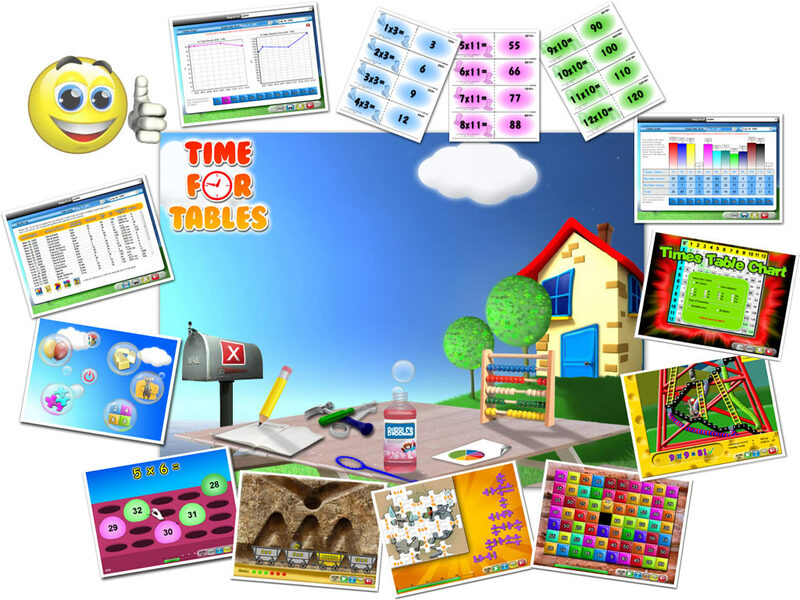 The interface makes learning multiplication tables a game, which makes it entertaining to the children using it.